We've turned a beautifully renovated classic Budapest apartment into a small hostel so that you, the budget traveler, can enjoy quality accommodation at bargain price, and get a glimpse of Budapest as only locals know it. Please note that the hostel is small with a few private rooms and therefore it's not a place where you can meet lots of people and party. However, if you prefer privacy, personal attention, cleanliness and a relaxed atmosphere with a homely touch this place is idyllic for you! 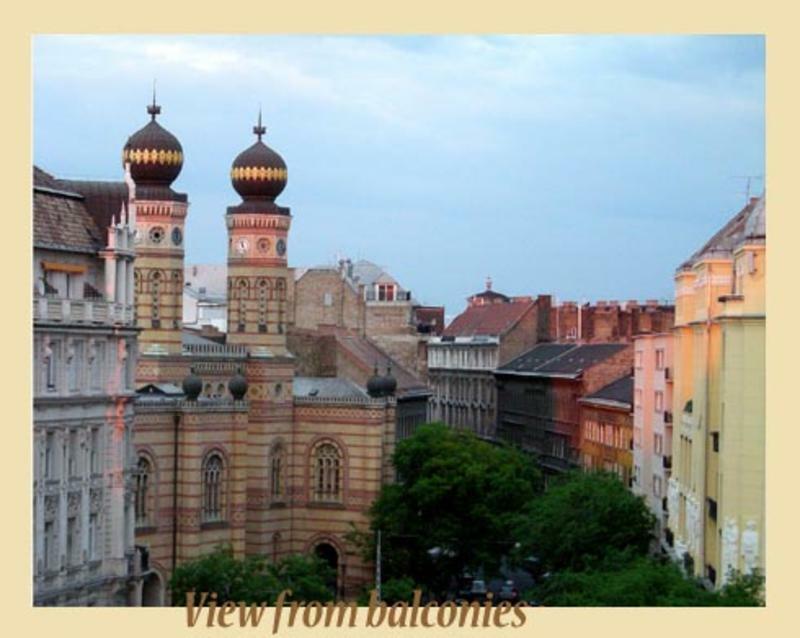 To top it all, the hostel is located within walking distance of most of the sights and is surrounded by amazing old buildings, so staying here you can not only see Budapest's history, you can live in it for a while. We are less than five minutes walk away from the famous Vaci street, a fashionable all pedestrian shopping area, and the nightlife and entertainment quarter, packed with trendy pubs, clubs, cafes, fancy restaurants as well as cheap eateries. Only three minutes walk away from the blue, yellow and red metro line stops (Deak Ferec square), night buses, and trams to the Buda side, we provide an ideal base for exploring Budapest's rich past as well as its vibrant multicultural present. Our friendly and helpful staff will be happy to assist you with anything you need. We recommend the best places to go out and we can help you to plan the most efficient ways to do your sightseeing. We can't accept bookings from groups larger than 4 people, even if rooms are reserved separately. As we don't have a traditional all day reception, it's important that you notify us about your arrival time in advance. Thanks! Upon arrival you'll get your own keys so you can come and go as you please all day round. Check-in is until midnight. Please note the we can't accept reservations with the arrival time after this time. Early check-in is possible if your room is free earlier than 14.00. For late check-out, please get advice from the receptionist. Departing guests are welcome to store their bags in the hostel after checking out of the room. New service: you can sign up for a nice full breakfast that you can have at a beautiful restaurant just 1 minute from the hostel. Please ask receptionist for VOUCHER. We don't have a big sign at the entrance, so just look for the street number. The street number is 24, a brown gate recess right opposite Erste Bank, next to SPAR supermarket. If you're there just ring our doorbell: 18. The hostel is on the 4th floor (there is an elevator).